How do you follow up a successful/genre changing game that millions fell in love with? Capcom’s answer was to go bigger & better in every department. Resident Evil 2 takes the ground work set down by its predecessor & does an amazing job of creating one the best survival horror games of all time. Resident Evil 2 carries on from where Resident Evil left off, 2 months later. The mansion was destroyed & the S.T.A.R.S survivors have disappeared. The nearby Racoon City has suffered an outbreak similar to the mansion incident. 2 playable characters are on there way into the city unaware of what is taking place. Leon Kennedy is a rookie police officer heading in for his first day on the Racoon Police Force. 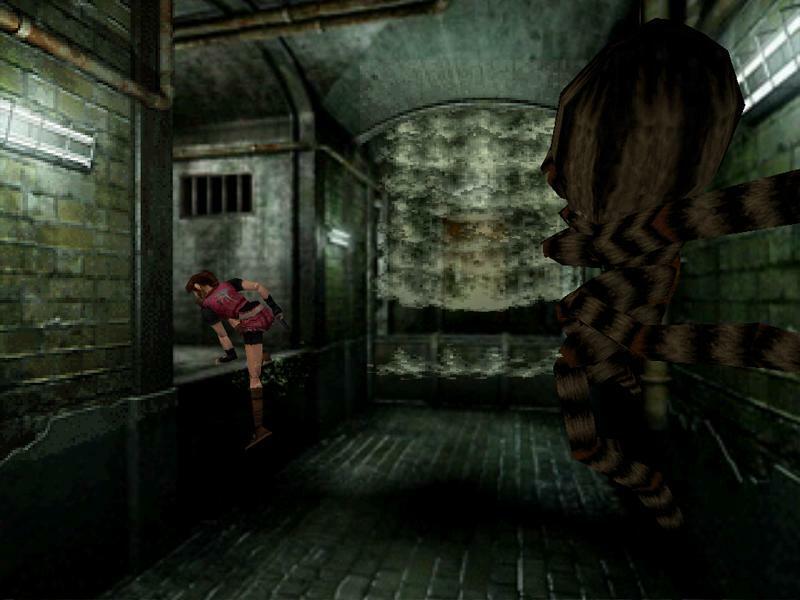 Claire Redfield is arriving to find out where her missing brother has gotten too, her brother being Chris Redfield from the first game. Shortly after arriving they are both attacked by the residents of Racoon City now transformed into zombies as they try to escape they run into each other & end up commandeering a police car. As they tear down the street trying to make sense of what is going on they are unaware of an out of control gas truck behind them. 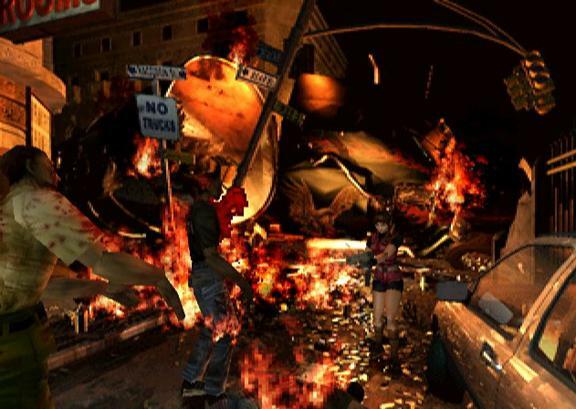 After being attacked by a zombie hiding in the backseat Leon loses control of the police car crashing into a signpost. As they duo recover the following gas truck bears down on them forcing them to get out of the car either side. The truck crashes, turns over & explodes blocking the street in a wall of flame. 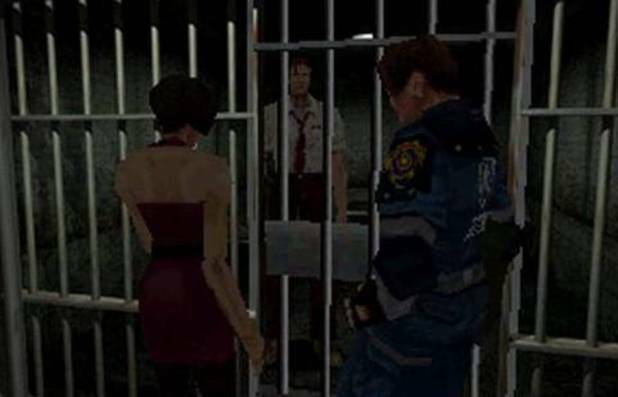 Separated Leon tells Claire to meet him at the police station & this is where the player takes control depending on what character they have chosen to play as. Playing as Leon or Claire the story will pan out pretty much the same except for some different plot elements & characters met. This side of the story is seen as scenario A…complete Leon’s scenario A & you will be rewarded with the other side of the story, Claire’s scenario B. The same applies for completing Claire’s A game with Leon’s B game being unlocked. This allows you to see the complete story as it is supposed to be. The difference between the A & B scenarios is huge & is an opportunity to see how the 2 paths cross over. As well as playing as Leon or Claire at times through either story you get to take control of additional characters for small sections. Leon’s side of the story will see you take control of the elusive Ada Wong who claims to be looking for her boyfriend, John (Remember the Umbrella passwords in the original?). 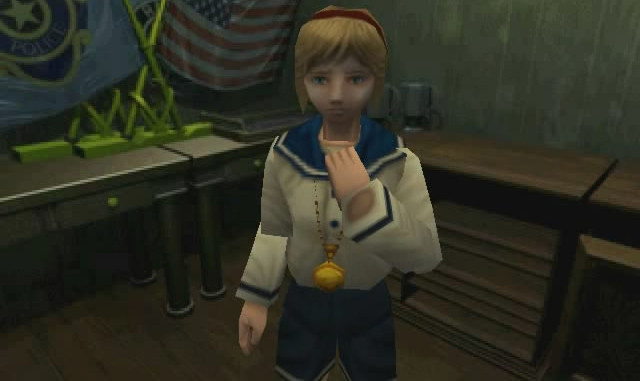 Claire’s side sees you take control of the young girl Sherry Birkin. 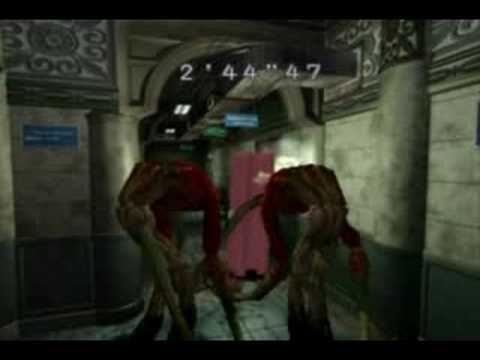 Sherry is an integral part of the Resident Evil story as it becomes apparent she is the daughter of the scientist responsible for the new G-virus, the cause of the infection in Racoon City. The main protagonist throughout Resident Evil 2 is William Birkin, the scientist responsible for the G-virus. Having been betrayed by his employers in Umbrella, shot & left for dead he purposely infected himself with the G-virus transforming him into a monstrous deadly weapon. 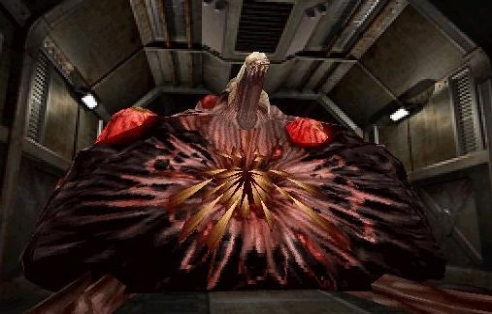 Throughout the game you will face William Birkin as a boss a number of times, each time his transformation develops more & more, resulting in some really unique & interesting monster forms. As well as Birkin there are a huge number of threats throughout Racoon City. Returning from the original game are the zombies (with much more variety as well as female zombies), dogs & crows. Replacing the devastating Hunter is the Licker, a skinless wall crawler with an exposed brain, razor sharp claws & an extendable tongue that it uses to attack with. Throw in cockroaches, Plants (named plant 43), an alligator, a giant moth & T-00 (who you won’t meet until scenario B) & there are more then enough things to kill throughout Racoon City. One of the most interesting things in Resident Evil 2 is the city & the areas you get to explore. Admittedly there are few times that you really get to explore the outside & those moments are surprisingly linear but they feel extremely authentic. The detail in Resident Evil 2 is excellent; every alley is filled with rubbish, the police station office busy & covered in paper work. There is a lot to take in & the Resident Evil fixed camera angles really allow you to see everything. Character-wise Leon & Claire are both interesting & richly detailed with back-story. Both have become staple parts of the Resident Evil franchise today but it’s hard not to argue with the belief that Resident Evil 2 is the best game either has appeared in. The supporting cast both the good guys & bad all live up to the task. Sherry Birkin is probably the only real downside as she is irritating at times & the moments where you control her can be frustrating. Some of the other significant changes to this sequel are with the controls & weapons. 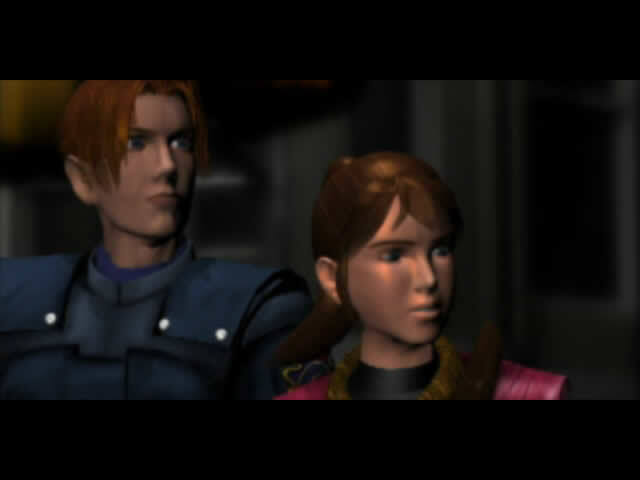 Leon & Claire feel a lot less like moving tanks. They control more fluidly & run more naturally. Add that damage will affect how they move (serious low health will see them dragging their bodies like dead weight) & you can clearly see just how much of an improvement it is. There is now also more variety in the weapons & most are upgradable. An example is the handgun which can get an upgrade that sees you shoot 3 bullets in quick succession rather the 1 & the shotgun can get an extended barrel for more damage. Inventory space is just as important & the Resident Evil chests make a re-appearance as does herb mixing & puzzles galore. They range from the thought-provoking to the simple & mostly yield keys & the like to help you progress through the game. There is rarely a puzzle that will leave you scratching your head & scrambling for an FAQ. 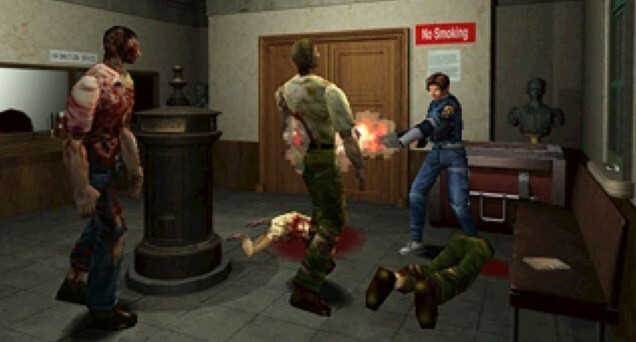 Resident Evil 2 is not a difficult game, it is generous with herbs, ammo & puzzle hints. There are plenty of save rooms & ink ribbons. It feels less like the creators are trying to kill you something that was always prevalent in the original. 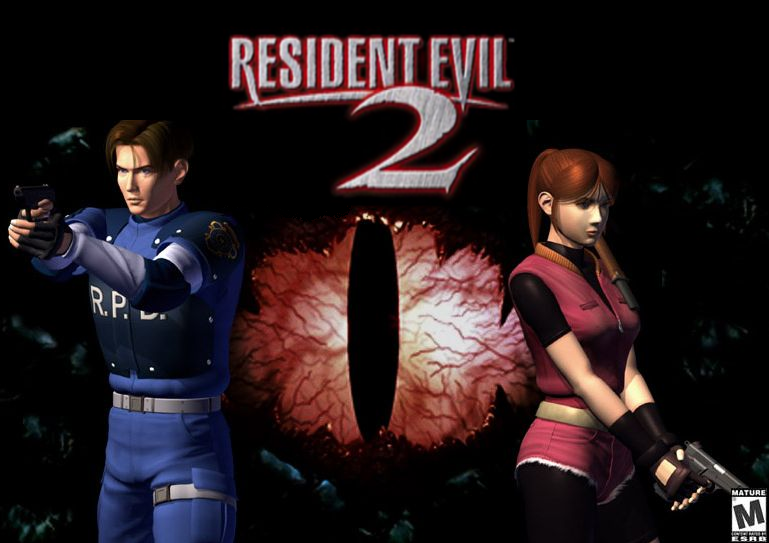 When I hear fans of the series complain about how they don’t make survival horror like they used too & Resident Evil 4 was the start of the decline I always refer them to Resident Evil 2. It was the first of the bunch to make things easier, to give you sub-machine guns & involve bigger set-pieces. Resident Evil is a survival horror game but it was dropping hints about the direction the series would go eventually! However, Resident Evil 2 is great game with plenty of extras to keep you coming back for more. As well as the 4 scenarios to play you can also unlock a challenge mode where you play as an Umbrella operative , Hunk aiming to set the best time for completion. Players meeting specific requirements can also unlock a similar mode where you play as a piece of Tofu (yes, this is real). There are also the usual infinite weapons & unlockable costumes for you to hunt down. Comparing it to the original content-wise, Resident Evil 2 is a vast improvement. 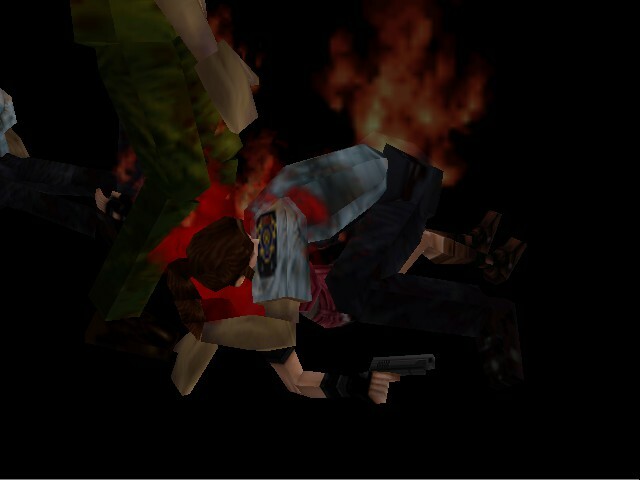 Resident Evil 2 is an improvement over the original game in all but 1 area (survival horror). It continues & builds on a fascinating world & story, one that you want to see more of & one that you keep returning to year after year. Interesting characters with great stories, huge variety in enemies & weapons as well as a really satisfying ending. 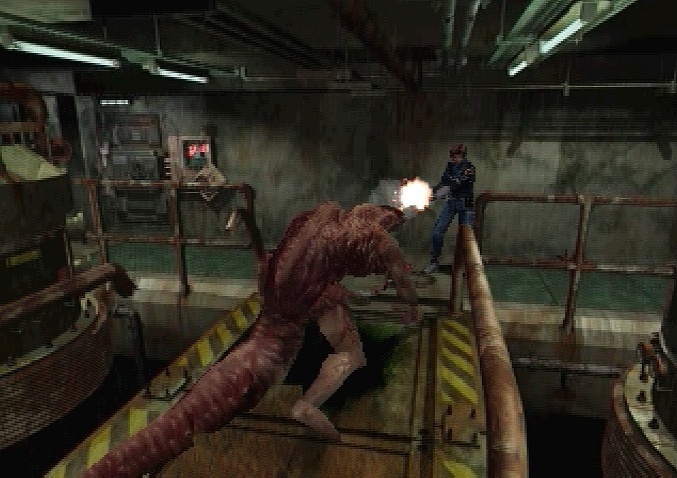 This is probably the definitive Resident Evil experience.